I can not stress enough how much the change in my diet helped me to feel better, have more energy, drop certain medications and live a better life. It’s an amazing feeling and I would love more people to find their path in healthy eating and living. That’s why I think that projects like this are so good. 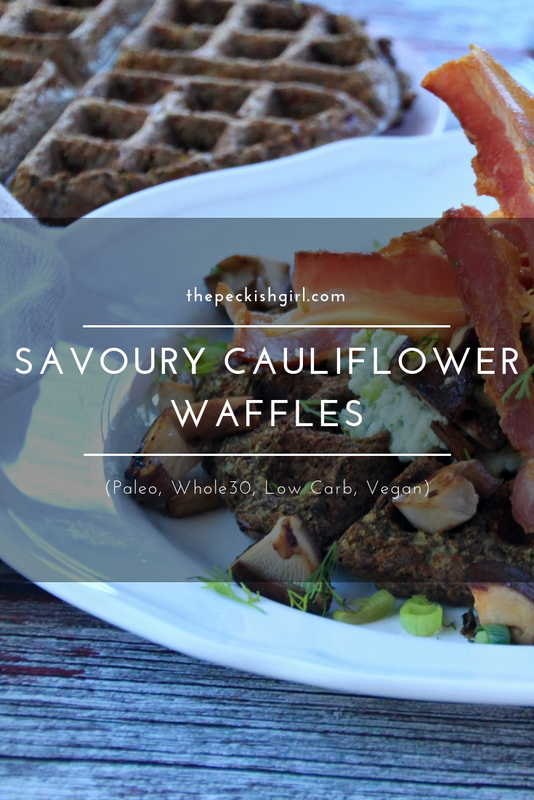 Anyway, let’s get to the recipe (which you can now also check on the Paleo Menu website as a taster from the whole week’s menu I created – Dasha’s Savoury (No-Waste) Cauliflower Waffles). Not really fussed with classic sweet waffles? 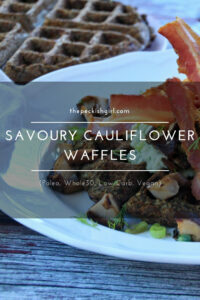 Prefer a good filling savoury breakfast? Or simply want to try something different? Then I have a perfect quick recipe right for you. 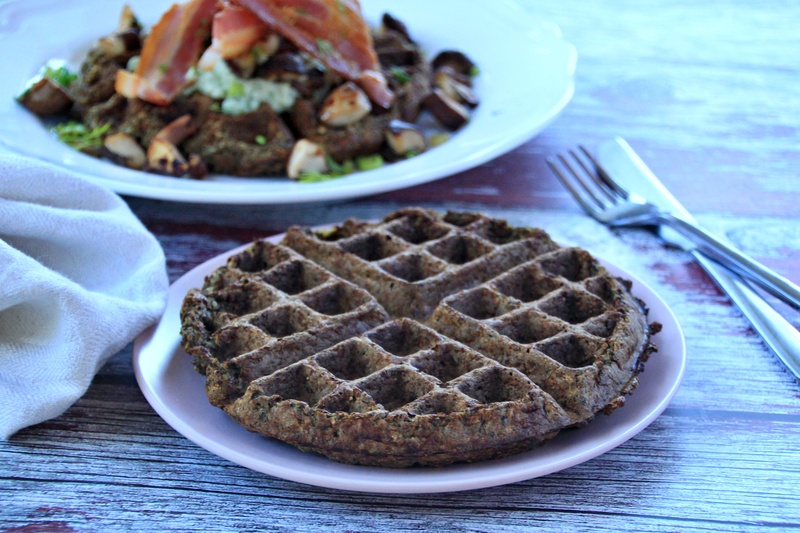 The Savoury Cauliflower Waffles (Paleo, Whole30, Low Carb, Vegan). Mix all of the ingredients for the waffles together and let the dough sit for 10 minutes to let the flaxseed meal soak up the liquid. Preheat your waffle maker and grease with oil if needed. Ladle two large spoonfuls (1/2 of the mix) into the waffle maker and let cook. 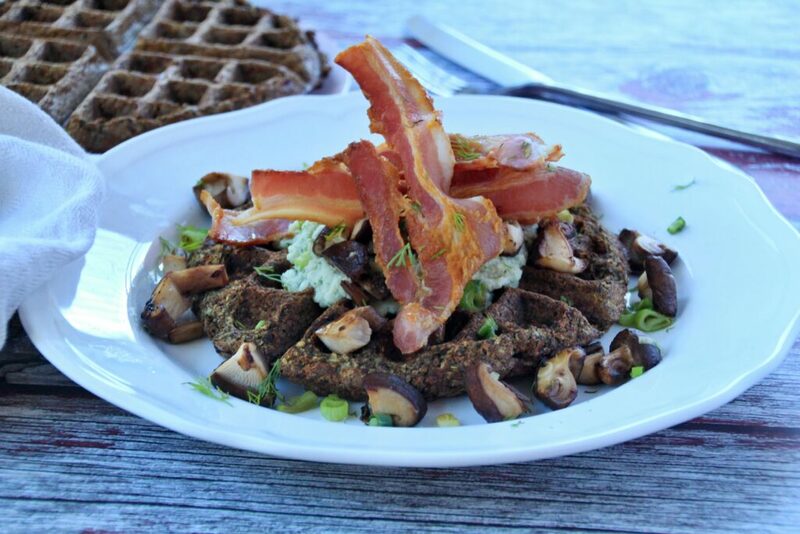 Serve with desired toppings (for example, waste-free cauliflower hummus, fried mushrooms with green onions and bacon). Place the cauliflower on a lined baking tray and sprinkle it with a bit of salt and pepper. Drizzle with cooking oil (a light olive oil or avocado oil is great). Put the tray in the preheated oven and bake for about 20 minutes, or until the cauliflower is soft. Remove cauliflower from the oven and let it cool. Place it in a food processor and add the crushed garlic, tahini, olive oil, lemon juice, cumin, salt and pepper. Blend everything together until completely smooth. Let the hummus chill in a fridge for at least 30 minutes before serving. Love cauliflower? 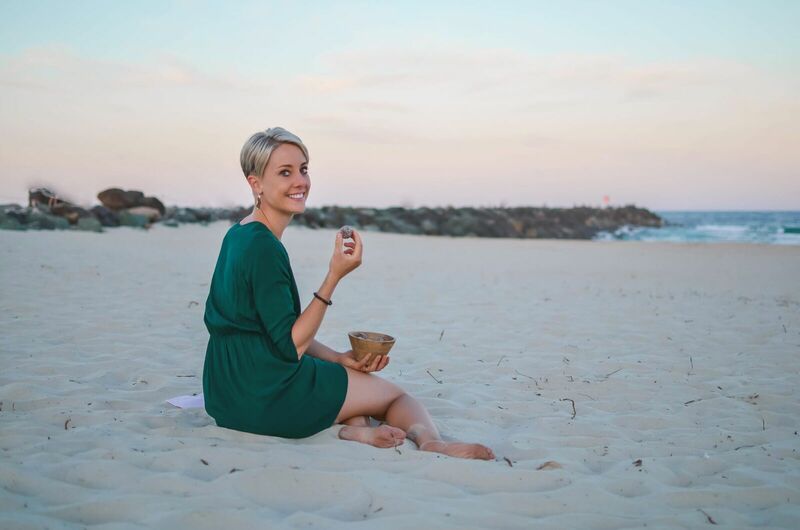 Check out my other cauliflower recipes such as Cauliflower Puree, Cauliflower Rice or Cauliflower Fried Rice.